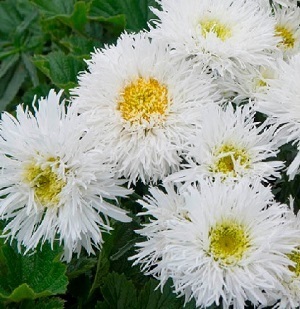 This is an attractive variety of the Shasta Daisy, with lots of double and semi double frilly flowers from June to August. Plants grow to a height of 60-70cm, and make very good border plants. They attract butterflies and make good cut flowers. Crazy Daisies grow best in full sun and well drained soil. Do not grow in soils that are very wet in winter. They are drought tolerant once established. Plants are relatively short lived and can be divided every 2-3 years to keep them going. Pack of approx 150 seeds. Sow in spring to autumn. 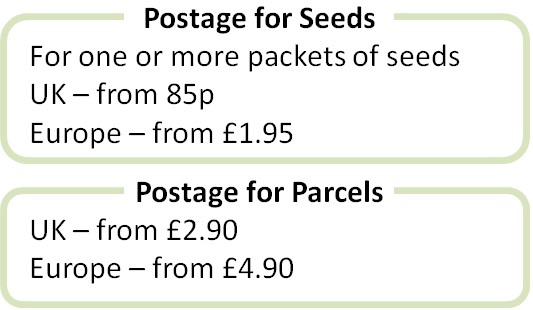 Sowing is easy and instructions and a colour photo are printed on the packet. Sow Sow spring to autumn in a tray of seed compost. Cover lightly with compost and keep at 18-24°C. Germination takes 1-2 weeks. Transplant seedlings into small pots when they are big enough to handle and then outside, after hardening off,into a sunny well drained soil. Flowering starts in the second year. Grow Deadhead plants to prolong flowering. Cut back to basal leaves, either after flowering or in the autumn/winter. Divide plants every two to three years to keep in good flowering health.